| Attention to detail and service. 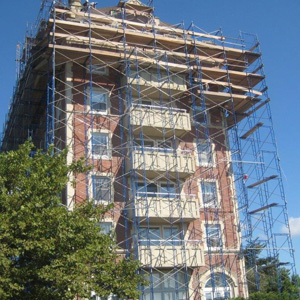 Learn More about Arsenal Scaffold, Inc.
Safety is of paramount importance and a cornerstone of our company. Arsenal is proud to possess Safety Ratings that consistently exceed industry standard. Arsenal provides a range of industrial, commercial, and residential access services and equipment with rental and purchase options. Complex scaffold solutions and unparalleled project management that adhere to our client’s budget.